Weed your garden and flower beds with the Garant Botanica cultivator. The shape of its head and its flattened tines lets you work the soil more diligently. Developed to suit all gardeners' needs, Garant's Botanica line of gardening tools is specifically designed to comfortably fit all hand sizes. Dandelion weeder, ergonomic, non-slip handle. Convenient for edging around steps, sidewalks and hard to reach places. Stainless steel blade, corrosion-free easy cleaning. Sharpened blade for a clean cut. Ergonomically designed supergrip handle, soft non-slip grip. This environmentally friendly, easy-on-the-body tiller features an innovative design that lets you insert a foot in the "stirrup" for more digging power. Great for mixing fertilizer or peat moss into the garden and weeding garden beds. The strong steel shaft and padded T-grip handles supply ample leverage to break up compacted soil, while the arrowhead tips pierce and shatter hardened soil clods. And at 40 inches in overall length, there's no need to stoop or squat. Garden Care, round point shovel with tempered steel blade. Triangular ergonomic designed fibreglass handle to reduce hand fatigue. Steel ferrule and ergo poly-D grip. Ideal for digging holes, planting trees and shrubs, digging up roots, and dividing perennials. 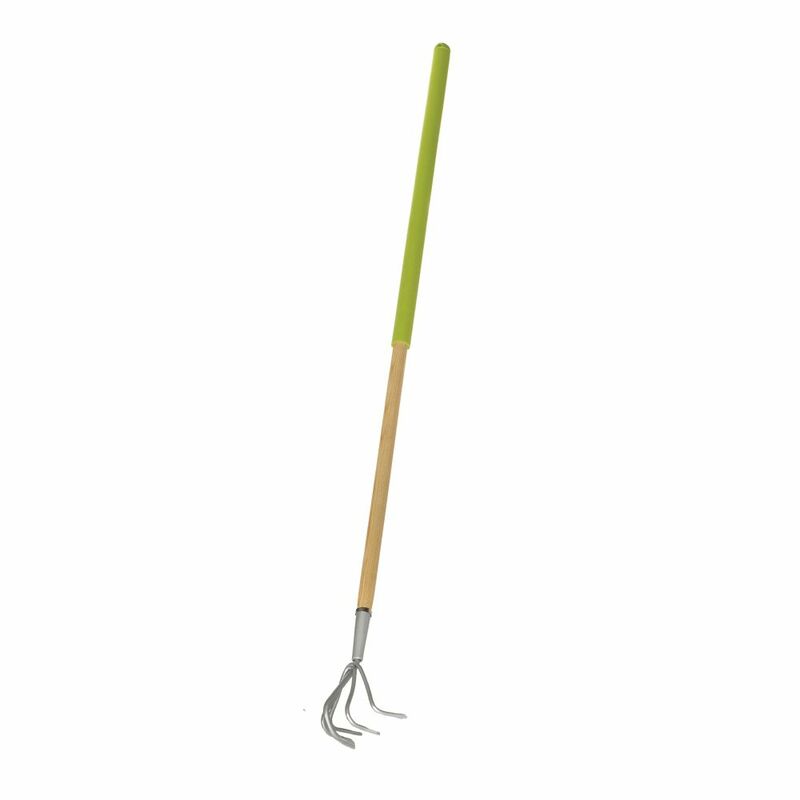 Garant FHC5LH 5-Tine Cultivator, Wood Handle with Cushioned Grip Weed your garden and flower beds with the Garant Botanica cultivator. The shape of its head and its flattened tines lets you work the soil more diligently. Developed to suit all gardeners' needs, Garant's Botanica line of gardening tools is specifically designed to comfortably fit all hand sizes.